Shapiro+Raj is the 6th largest independent insights and inspiration company in North America. By integrating behavioral science principles with behavioral economic capabilities and battle-tested brand marketing experience to connect the dots between what consumers think, feel, say and do. The results are powerful commercially viable insights that open new pathways for growth. CinestaanGo curates and creates content that resonates with the Indian diaspora. All content is multi-languagual, and has English language captioning. The service is available on all internet enabled devices. CinestaanGo is owned by the Cinestaan Group which is based out of Mumbai, India. Today we are inundated by a deluge of data and deafened by the cacophony of content. It takes a special kind of consultancy to not only understand this world but also how to succeed in it. We use rigorous social science-based approaches and analyses to find and organize the right information from multiple sources. MutualMind is a social media listening and management system that helps brands monitor and promote themselves on social networks while providing actionable analytics and insights to increase social media return on investment. zednext is an ideas incubator that takes an objective and disruptive look at issues and trends to help marketers and business leaders realize their full potential in a data-driven, digitally led and insights-driven world. A new-age consultancy integrating traditional marketing models with digital capabilities to serve clients in the new economy. A boutique Chicago publishing company dedicated to serving the new world order of marketing, leadership, and innovation. Spyglass Publishing provides publication of high-quality books, electronic publications, and websites for first-time and veteran authors. Our publication solutions fit a variety of budgets and timelines. We specialize in the business genre, with emphasis on marketing and advertising. For publishing opportunities, please contact Christal Marotta at 312-321-8104 Christal.Marotta@shapiroraj.com. KarmaCircles is a platform to search for skilled people, request them for an online/phone/in-person meeting and then thank them for the time & help given by them. People give their time out of the goodness of their heart and to build their online reputation around various skills. 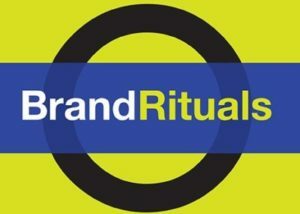 Brand Rituals provides consulting services for businesses seeking branding strategies and marketing plans which will strengthen brand identity, brand loyalty, brand retention and brand awareness. To discuss how the consulting services of Brand Rituals can help you build bonded relationships with your core customers, send an email to Christal Marotta at Christal.Marotta@shapiroraj.com or call 312-321-8104.